I definitely have a sweet tooth in the morning, give me a plate of pancakes over a full cooked breakfast any day. Most weekdays before work I have fruit and yogurt, sometimes with Honey Monster Puffs and other days making use of my Healthy Extra B with Quaker Oats Porridge. These are perfect when I'm rushing around trying to get ready for my day. Once we get to the weekend I love being able to take my time, enjoy a cup of tea and spend a little bit more time in the kitchen being creative. 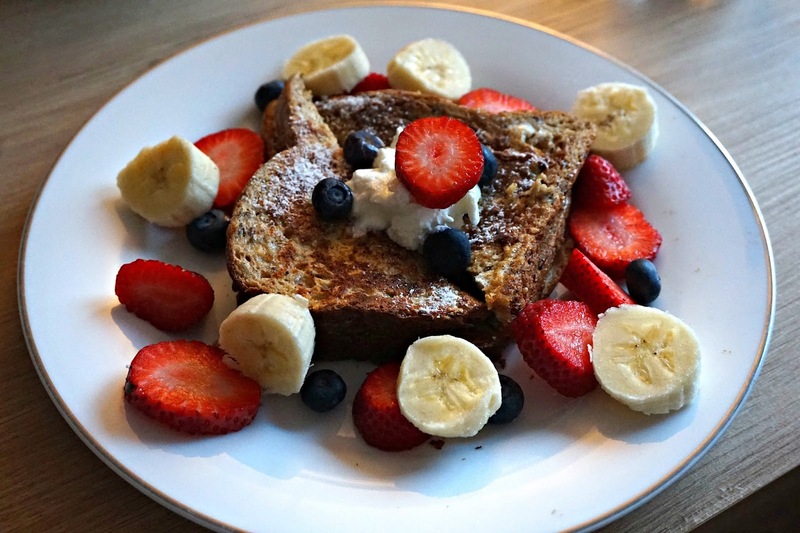 Two of my sweet Slimming World breakfasts favourites are French Toast and Baked Oats. Both recipes use your Healthy Extra B, can be rustled up easily, include your speed food in abundance and are absolutely delicious. Spray a frying pan with frylight on a medium heat. Whisk the egg, milk, vanilla extract and sweetener in a bowl or shallow dish. Cut the bread into triangles and dip into egg mixture until the bread is soaked. Fry the bread for a couple of minutes on each side until golden. Sandwich together the toast on a plate with chocolate spread and top with quark and fruit. Spray a small oven proof dish with frylight and pre-heat oven to 180 degrees. Mix up oats, yogurt, egg, sweetener and vanilla extract before pouring into dish. Bake for 35-40 minutes, put the dish on a baking tray to avoid overspill. 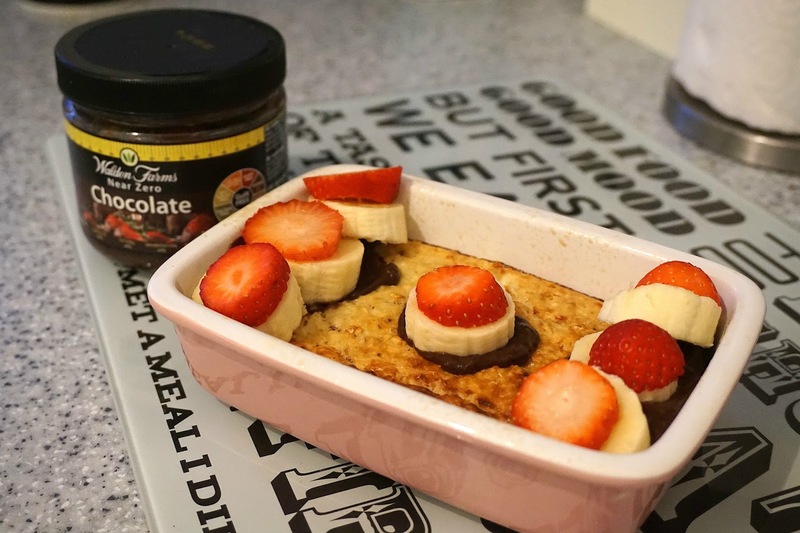 Serve with fruit and chocolate spread, I used Walden Farms chocolate dip as a Syn free option. Different yogurts can be used for different flavoured baked oats and remember any fruit added at the baking stage must be syned.